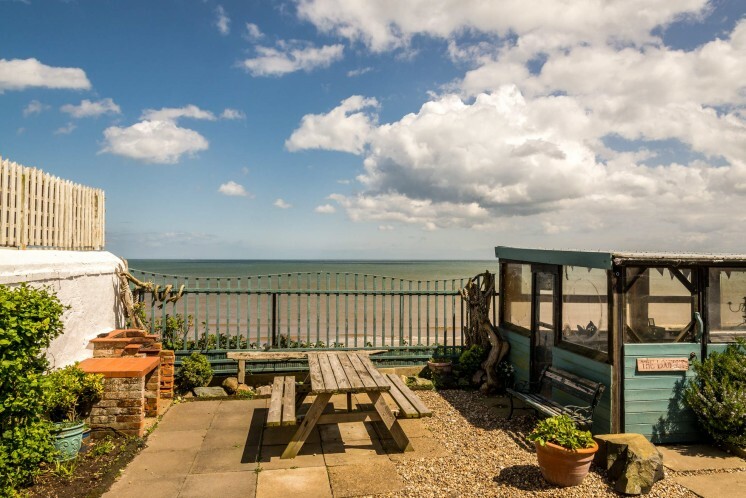 Beach Cottage is a self catering holiday cottage, uniquely situated by the sea on Mundesley sea front. It boasts panoramic sea views and, just one minute away, has safe and easy access to an Award Winning sandy beach. Beach Cottage sleeps 8 people – 6 in the main house and 2 in our ensuite Beach Hut Annex. Beach Cottage is child-friendly and dog-friendly. People love coming here because there are panoramic and uninterrupted sea views and you are a minute away from a wide, clean and sandy beach (blue flag awarded); one of the 10 listed ‘ideal’ swimming beaches in the UK. Beach Cottage is an original brick and flint Cottage built in the 1800s and extended in the 1960s. It provides the perfect accommodation for families; and groups of friends who like to be by the sea. We often have 3 generations of family staying – Parents and kids in the main Cottage; and Grandparents (or teenagers) in Beach Hut. Winter bookings are mostly taken by walkers, bird watchers, motorbike tourers and dog walkers. The Cottage is a smoke-free zone, but smokers are welcome to use the Lookout.